The country of the Netherlands for centuries had constituted a part of the German Empire. At one side of the great lines of communication, and moored so far out to sea, it had been overlooked and neglected to a certain degree by the reigning dynasties; and out of this neglect grew its prosperity. While the rule of the central government was nearly nominal, the feudal lords never obtained a strong foothold in the country, and the order and peace of the communities were preserved by municipal officers chosen by suffrage. In process of time wealthy burgher families fairly divided political influence with princes, acid dictated a policy at once wise and humane. Extortioners were suppressed, industries fostered, and peace maintained. In the religious controversies which followed the preaching of Luther, the eastern provinces of the hollow land almost exclusively espoused the new religion, while the western provinces clung as tenaciously to the old. While this difference in religious opinions gave rise to disputes, and tended toward the disruption of social relations, for many years toleration was practiced and peace preserved. During the reign of Charles V as emperor of Germany, the lowland countries were permitted to go on in their career of prosperity, with the exception of a religious persecution. Charles was a bigot, and, for a time, he tried to put down heresy with a strong hand; but, finding the new doctrines firmly established in the hearts of the people, he relaxed his persecutions, and permitted things to take pretty much their own course. On the abdication of Charles V, in 1555, Spain and the low countries fell to the lot of Philip II. Notwithstanding the riches which had poured into Spain from the plunder of Mexico and Peru, the Netherlands were the richest part of Philip's dominions, yielding him a princely revenue. But the free spirit manifested by these artisans, in their homes by the sea, was contrary to all Philip's ideas of government, and was constantly galling to his personal pride. So he determined to reduce his Teutonic subjects to the same degree of abject submission that he had the residents of the sunny lands of Spain. To give intensity to his resolve, Philip was a cold-blooded bigot, and in carrying out his state designs he was also gratifying his religious animosities, and giving expression to his almost insane religious hatreds. His policy was directly calculated to ruin the most prosperous part of his own dominions - to "kill the goose which laid the golden egg." Philip spent the first five years of his reign in the Netherlands, waiting the issue of a war in which he was engaged with France. During this period his Flemish and Dutch subjects began to have some experience of his government. They observed with alarm that the king hated the country and distrusted the people. He would speak no other language than Spanish; his counselors were Spaniards; he kept Spaniards alone about his person, and it was to Spaniards that all vacant posts were assigned. Besides, certain of his measures gave great dissatisfaction. He re-enacted the persecuting edicts against the Protestants which his father, in the end of his reign, had suffered to fall into disuse; and the severities which ensued began to drive hundreds of the most useful citizens out of the country, as well as to injure trade by deterring Protestant merchants from the Dutch and Flemish ports. Dark hints, too, were thrown out that he intended to establish an ecclesiastical court in the Netherlands similar to the Spanish Inquisition, and the spirit of Catholics as well as Protestants revolted from the thought that this chamber of horrors should ever become one of the institutions of their free land. It was on the arm of William of Orange that Charles had leaned for support on that memorable day when, in the assembly of the states at Brussels, he rose feebly from his seat, and declared his abdication of the sovereign power; and it was said that one of Charles's last advices to his son Philip was to cultivate the goodwill of the people of the Netherlands, and especially to defer to the counsels of the Prince of Orange. When, therefore, in the year 1555, Philip began his rule in the Netherlands, there were few persons who were either better entitled or more truly disposed to act the part of faithful and loyal advisers than William of Nassau, then twenty-two years of age. But, close as had been William's relations to the late emperor, there were stronger principles and feelings in his mind than gratitude to the son of the monarch whom he had loved. He had thought deeply on the question, how a nation should be governed, and had come to entertain opinions very hostile to arbitrary power; he had observed what appeared to him, as a Catholic, gross blunders in the mode of treating religious differences; he had imbibed deeply the Dutch spirit of independence; and it was the most earnest wish of his heart to see the Netherlands prosperous and happy. Nor was he at all a visionary, or a man whose activity would be officious and troublesome; he was eminently a practical man, one who had a strong sense of what is expedient in existing circumstances; and his manner was so grave and quiet that he obtained the name of "William the Silent." Still, many things occurred during Philip's four years' residence in the Netherlands to make him speak out and remonstrate. He was one of those who tried to get the king to use gentler and more popular measures, and the consequence was that a decided aversion grew up in the dark and haughty mind of Philip to the Prince of Orange. After the departure of Philip the administration of the Duchess of Parma produced violent discontent. The persecutions of the Protestants were becoming so fierce that, over and above the suffering inflicted on individuals, the commerce of the country was sensibly falling off. The establishment of a court like the Inquisition was still in contemplation; Spaniards were still appointed to places of trust in preference to Flemings; and finally, the Spanish soldiers, who ought to have been removed long ago, were still burdening the country with their presence. The woes of the people were becoming intolerable; occasionally there were slight outbreaks of violence; and a low murmur of vehement feeling ran through the whole population, foreboding a general eruption. "Our poor fatherland!" they said to each other; "God has afflicted as with two enemies, water and Spaniards; we have built dikes and overcome the one, but how shall we get rid of the other? Why, if nothing better occurs, we know one way at least, and we shall keep it in reserve - we can set the two enemies against each other. We can break down the dikes, inundate the country, and let the water and the Spaniards fight it out between them." About this time, too, the decrees of the famous Council of Trent, which had been convened in 1545 to take into consideration the state of the Church and the means of checking the new religion, and which had closed its sittings in the end of 1563, were made public; and Philip, the most zealous Catholic of his time, issued immediate orders for their being enforced both in Spain and in the Netherlands. In Spain the decrees were received as a matter of course, the council having authority over the Catholic people; but the attempt to force the mandates of an ecclesiastical body upon a people who neither acknowledged its authority nor believed in its truth, was justly regarded as an outrage, and the whole country burst out in a storm of indignation. In many places the decrees were not executed at all; and wherever the authorities did attempt to execute them, the people rose and compelled them to desist. A political club or confederacy was organized among the nobility for the express purpose of resisting the establishment of the Inquisition. They bound themselves by a solemn oath "to oppose the introduction of the Inquisition, whether it were attempted openly or secretly, or by whatever name it should be called," and also to protect and defend each other from all the consequences which might result from their having formed this league. Perplexed and alarmed, the regent implored the Prince of Orange and his two associates, Counts Egmont and Horn, to return to the council and give her their advice. They did so; and a speech of the Prince of Orange, in which he asserted strongly the utter folly of attempting to suppress opinion by force, and argued that "such is the nature of heresy that if it rests it rusts, but whoever rubs it whets it," had the effect of inclining the regent to mitigate the ferocity of her former edicts. Meanwhile the confederates were becoming bolder and more numerous. Assembling in great numbers at Brussels, they walked in procession through the streets to the palace of the regent, where they were admitted to an interview. In reply to their petition, she said she was willing to send one or more persons to Spain to lay the complaint before the king. While the nobles and influential persons were thus preparing to co-operate, in case of a collision with the Spanish government, a sudden and disastrous movement occurred among the lower classes. It was stated and believed that the regent had given permission for the exercise of the Protestant form of worship, and throughout Flanders multitudes poured into the fields after the preachers. The reaction after the suppression of the previous years was very great, and the pent-up emotions were easily kindled into rage against the Catholics. Led on by fanatics, the ignorant masses made a concerted attack upon the Catholic churches, shattering their windows, tearing up their pavements, and destroying all the objects of art which they contained. The cathedral at Antwerp was the special object of attack, and it was reduced to an almost hopeless ruin. The patriot nobles exerted their influence, and at last succeeded in suppressing the violence and in restoring order. Before the news of this outburst had reached Spain, Philip had resolved to crush the confederacy and break the proud spirit of the Netherlands. Secret orders; were given for the collection of troops; the regent was instructed to amuse the patriots until the means of punishing them were ready; and in a short time it was hoped that there would no longer be a patriot or a heretic in the Low Countries. It is easy to conceive with what rage and bitterness of heart Philip, while indulging these dreams, must have received intelligence of the terrible doings of the iconoclasts. But, as cautious and dissimulating as he was obstinate and revengeful, he concealed his intentions in the mean time, announced them to the regent only in secret letters and dispatches, and held out hopes in public to the patriots and people of the Netherlands that he was soon to pay them a visit in person to inquire into the condition of affairs. William had secret intelligence of the purpose of Philip in time to avert its worst consequences. The man whom Philip sent into the Netherlands at the head of the army, as a fit instrument of his purpose of vengeance, was the Duke of Alva, a personage who united the most consummate military skill with the disposition of a ruffian, ready to undertake any enterprise however base. 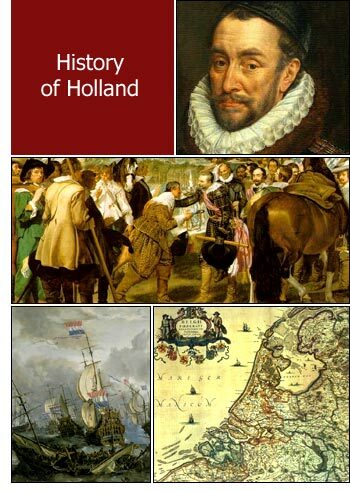 Such was the man who, at the age of 60, in the month of August, 1567, made his entry into the Netherlands at the head of an army of fifteen thousand men. One of his first acts was the arrest of the Counts Egmont and Horn. The regent resigned, and Alva was left in supreme control. Now ensued the grand struggle in the Netherlands. On the one hand was a nation of quiet, orderly people, industrious in a high degree, prosperous in their commerce, and disposed to remain peaceful subjects to a foreign monarch; on the other hand was a sovereign who, unthankful for the blessing of reigning over such a happy and well-disposed nation, and stimulated by passion and bigotry, resolved on compelling all to submit to his will on penalty of death. Alva at once commenced his persecutions. Supported by his army, blood was shed like water. The Inquisition was established, and began its work of unspeakable horrors in the Netherlands. Patriots and Protestants in crowds left the country. The leading men of the Netherlands were arrested and executed. Under circumstances of extreme ferocity Counts Egmont and Horn were beheaded at Brussels. Overwhelming taxes were imposed upon the people, and during the short period of his administration Alva executed eighteen thousand patriots, including many Catholics; for, in his rage against the free spirit of the Netherlanders, he recognized no distinction in condition or in religious belief. In the mean time the Prince of Orange was active in devising means to liberate his unfortunate country from the terrible scourge to which it was subjected. For five years he battled incessantly against the Spanish power. Now he entered into combination with the English and now with the French, with the vain hope of obtaining a sufficient force to drive the Spaniards out of the country. Twice he raised an army and marched to the aid of the brave burghers, who still maintained their independence, and both times was defeated by the superior force and generalship of Alva. He organized a fleet which ravaged the coast, captured vessels laden with provisions for Alva's army, and defended the ports within reach of their guns, When the shattered remains of William's last army retreated across the German frontier, it seemed that the people of the Netherlands were about to be left to their fate. But sixty cities and towns were now in revolt, and, unless they were recovered, Philip could no longer be considered the king of the Netherlands. Nothing was left but the slow process of siege operations. Haarlem held out seven months, and cost the Spaniards ten thousand men. It surrendered at last under the promise of an amnesty to its defenders, when they were murdered by thousands in cold blood. But Philip was dissatisfied with Alva for his slow progress, and for his execution of Catholics as well as Protestants; and in 1753, after five years' rule, he recalled him, and, with characteristic ingratitude, neglected and ill-treated him for his faithful but bloody services. In April an army from Germany, raised through the influence of the Prince of Orange, and commanded by his brother, Count Henry of Nassau, marched into the Low Countries; but the Spaniards dominated the land as the Dutch the sea, and the relief array was defeated and Count Henry was killed. This defeat, however, to the patriot cause, was almost equal to a victory. The Spanish troops, who had long been without pay, became mutinous and unmanageable, and before they could be appeased much precious time was lost. The Prince of Orange made the best use of this time. The revolted cities were strengthened and supplied with provisions, and every preparation made for both defensive and offensive war. But, best of all, the Dutch admiral boldly sailed up the Scheldt, captured forty of the Spanish vessels, and sunk many more. For five months all other operations were suspended; all the energy of Requesens, on the one hand, was directed toward getting possession of the city, and all the energy of the Prince of Orange, on the other hand, toward assisting the citizens, and preventing it from being taken. The issue depended entirely, however, on the bravery and resolution of the citizens of Leyden themselves. Pent up within their walls, they had to resist the attacks and stratagems of the besiegers; and all that the Prince of Orange could do was to occupy the surrounding country, harass the besiegers as much as possible, and enable the citizens to hold out, by conveying to them supplies of provisions and men. There was not in the city a single scion of a noble family. There were no men trained to military operations. It was a city of artisans and tradesmen, and the Spaniards expected scarcely more than a show of resistance from a foe so ignoble. As well might the sheep resist a pack of ravening wolves as the men of the counting-house and workshop resist the best trained soldiers of Europe. But nobly, nay, up to the highest heroic pitch of human nature, did the citizens behave! They had to endure a siege in its most dreary form - that of a blockade. Instead of attempting to storm the town, Valdez, the Spanish general, resolved to reduce it by the slow process of starvation. For this purpose he completely surrounded the town by a circle of forts more than sixty in number; and the inhabitants thus saw themselves walled completely in from the rest of the earth, with its growing crops and its well-filled granaries, and restricted entirely to whatever quantity of provisions there happened to be on the small spot of ground on which they walked up and down. Their only means of communication with the Prince of Orange was by carrier-pigeons trained for the purpose. One attempt was made by them to break through the line of blockade, for the sake of keeping possession of a piece of pasture-ground for their cattle; but it was unsuccessful; and they began now to work day and night in repairing their fortifications, so as to resist the Spanish batteries when they should begin to play. Like fire pent up, the patriotism of the inhabitants burned more fiercely and brightly; every man became a hero, every woman an orator, and words of flashing genius were spoken and deeds of wild bravery done, such as would have been impossible except among twenty thousand human beings living in the same city, and all roused at once to the same unnatural pitch of emotion. The two leading spirits were John van der Dors, the commander, better known by his Latinized name of Dousa; and Peter van der Werf, the burgomaster. Plebeian names these, but loftier natures never possessed the hearts of kings or nobles! Beside their deeds, the chivalry of knighthood looks trivial and mean. Under the management of these two men every precaution was adopted for the defense of the city. The resolution come to was, that the last man among them should die of want rather than admit the Spaniards into the town. Coolly, and with a foresight thoroughly Dutch, Dousa and Van der Werf set about making an inventory of all that was eatable in the town: corn, cattle - nay, even horses and dogs; calculating how long the stock could last at the rate of so much a day to every man and woman in the city; adopting means to get the whole placed under the management of a dispensing committee; and deciding what should be the allowance per head at first, so as to prevent their stock from being eaten up too fast. The thought of the Prince of Orange night and day was how to render assistance to the citizens of Leyden - how to convey provisions into the town. He had collected a large supply, but, with all his exertions, could not raise a sufficient force to break through the blockade. In this desperate extremity the Dutch resolved to have recourse to that expedient which they had kept in reserve until it should be clear that no other was left - they would break their dikes, open their sluices, inundate the whole level country around Leyden, and wash the Spaniards and their forts utterly away! It was truly a desperate measure, and it was only in the last extremity that they could bring themselves to think of it. All that fertile land, which the labor of ages had drained and cultivated - to see it converted into a sheet of water! There could not possibly be a sight more unseemly and melancholy to a Dutchman's eyes. But, when the measure was once resolved upon, they set to work with a heartiness and zeal greater than that which had attended their building. Hatchets, hammers, spades, and pickaxes were in requisition; and by the labor of a single night the work of ages was demolished and undone. The water, availing itself of the new inlets, poured over the flat country, and in a short time the whole of the region between Leyden and Rotterdam was flooded. The Spaniards, terror-stricken, at first resolved upon immediate flight; but, seeing that the water did not rise above a certain level, they recovered their courage, and, though obliged to abandon their forts, which were stationed upon the low grounds, they persevered in the blockade. But there was another purpose to be served by the inundation of the country beside that of washing away the Spaniards, and the Prince of Orange made preparations for effecting it. He had caused two hundred flat-bottomed boats to be built, and loaded with provisions; these now began to row toward the famished city. The inhabitants saw them coming; they watched them eagerly advancing across the waters, fighting their way past the Spanish forts, and bringing bread to them. But it seemed as if Heaven itself had become cruel; for a north wind was blowing, and, so long as it continued to blow, the waters would not be deep enough for the boats to reach the city. They waited for days, every eye fixed on the vanes; but still the wind continued in the north, though never within the memory of the oldest citizen had it blown in that direction so long at that time of year. Many died in sight of the vessels that contained the food which would have kept them alive; and those who survived shuffled along the streets, living skeletons instead of men! But the sea did not at last desert the brave men who had so long dominated it. At the last extremity it roused itself and swept down in its might upon the doomed Spaniards. When but two days stood between the starving citizens and death, lo! the vanes trembled and veered round; the wind shifted first to the northwest, blowing the sea-tides with hurricane force into the mouth of the rivers, and then to the south, driving the waters directly toward the city. The remaining forts of the Spaniards were quickly begirt with water. The Spaniards themselves, pursued by the Zealanders in their boats, were either drowned or shot swimming, or fished out with hooks fastened to the end of poles, and killed with the sword. Several bodies of them, however, effected their escape. The citizens had all crowded at the gates to meet their deliverers. With bread in their hands they ran through the streets; and many who had outlived the famine died of surfeit. The same day they met in one of the churches - a lean and sickly congregation - with the magistrates at their head, to return thanks to Almighty God for his mercy. The citizens of Leyden had performed their duty nobly and well. It was a triple service - they had driven away from their city the hated Spaniard; they had secured the freedom of their country; and they had preserved liberty for mankind. No nobler deeds are chronicled in all history than this long battle with death, than this silent, uncomplaining endurance during the long weeks, while the life-giving succors were delayed by adverse winds. As a recompense to the people of Leyden for their heroic conduct, the Prince of Orange gave them the choice of exemption from taxes for a certain number of years, or of having a university established in the city; and, much to their honor, they preferred the latter. The University of Leyden was accordingly established in 1575. At one time it attained so high a reputation for learning that Leyden was styled the Athens of the West.